Sud Tirol: Italian food and hospitality with German punctuality. Sounds like a perfect match. This region in Northern Italy is a paradise for winter skiing, summer hiking and cycling, with excellent food and hospitality. Only a short drive from Munich or Venice, Sud Tirol can be reached easily by train, car or airplane. 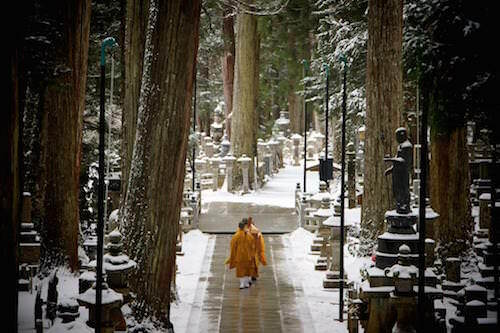 Kansai Kyoto Area: This area in central Japan has it all – ancient capitals (Kyoto and Nara), modern bustling city with great food (Osaka), and pilgrim routes (Mt. Koya and Kumano). Served by several international airports and high speed rail. Piemonte: Another wonderful region in Italy known for its mountains, lakes, and especially the best Italian wines (Barolo, Barbera) and truffles. Piemonte is not as touristy as Tuscany and it is here where you can still find small family-run restaurants, trattorie and hotels serving the best local dishes. Basque Country: Located across France and Spain, this region has nature, culture and gastronomy. Make sure to wander around in the lovely capital, San Sebastian, and try Pinxos (Basque tapas) and Txacoli (local white wine). Rajasthan: Udaipur, Jodhpur and Jaipur – exotic India at its best. Staying at heritage hotels such as the Rawla Narlai is an experience not to be missed. Shan State Burma (Myanmar): This area contains dramatic mountain scenery, excellent local cuisine and friendly locals. Some of the attractions include Inle Lake and Pindaya caves. Queenstown (Otago) region New Zealand: Queenstown is an excellent base in the south island of New Zealand to explore the wineries, hike in the hills and take a helicopter ride over to Milford Sound.